I think we’ve all had trust issues at one time or another. At least I have. I’ve doubted people – their motives or their words. And I’ve doubted God. I’ve questioned His love for me. I’ve asked why so many times I can’t even count them. Cahri, my heroine in One Choice, struggles with trusting God. In the beginning of the book, she wants nothing to do with God, though she continues to attend church so she can keep her job. She is angry and has lost her faith in Him. In her opinion, God no longer deserves her trust. BUT God (don’t you just love that phrase? ), in His infinite grace, calls to Cahri even as she’s going through the hardest trial of her life. He speaks to her through art, creation, and through her memories. He won’t leave her alone. Toward the end of the book, Cahri finds herself in a situation that forces her to trust God. She has nothing left, but the small grain of faith that her parents planted in her as a child. A grain of faith that has grown because God is THERE. He is everywhere she looks. But then, don’t we all do that every day? On some level, we trust God will continue to provide the air we need to breathe. We trust that the muscles and bones He created will provide movement and support. We trust that the cup we pour our drink of choice in to will hold said liquid. We trust that the laws of physics will remain in place, that the chair we sit in will hold us, that our cars will transport us to our destination. In my novel, God protects Cahri from herself, and from others. He is there for her, even when she doesn’t feel his presence. And, as in any novel I write, she has a happily-ever-after. Cahri Michaels is American by birth, but Belikarian by choice. 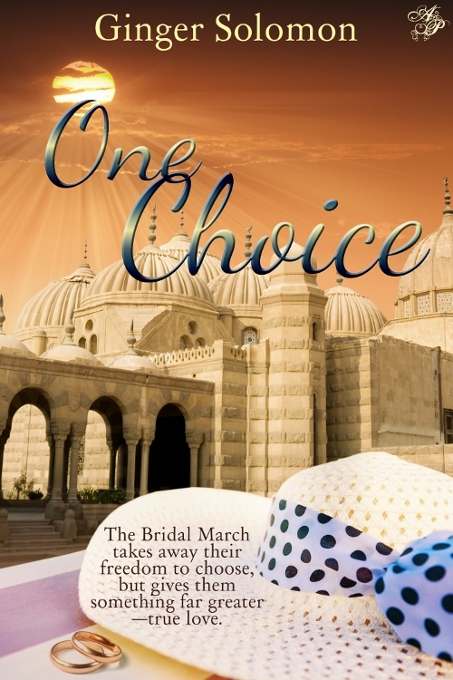 Being selected to participate the Bridal March forces her to give up the independent life she’s created for herself. She’s not ready to be anyone’s wife, much less to a man she doesn’t know. Ginger Solomon is a Christian, a wife, a mother to seven, and a writer — in that order (mostly). When not homeschooling her youngest five, doing laundry or fixing dinner, she writes or reads romance of any genre, some sci-fi/fantasy, and some suspense. 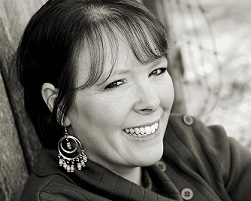 She’s a member of American Christian Fiction Writers, president of her local writing group, and writes regularly for three blogs. In addition to all that, she loves animals, horses especially, likes to do needlework (knitting, crocheting, and sometimes cross-stitch), and loves to sing in the choir at church. Christina here, please don’t forget that I am giving away a copy of The Guardian’s Promise to one commenter. Winner will be announced Sunday, February 9, 2014. U.S and Canadian residents only, please. This was right on time! I really needed to stumble across this today. I love when God gives us an answer in the most unconventional way. We just have to learn to stop, wait, open our eyes, and just listen. There are some things I have been struggling with lately and I have to keep reminding myself that we cannot do certain things alone. We have to surrender and ask for help. I know who God is and all that he is capable of doing. Where I fall short is thinking I am facing things all alone. And clearly that is not the case. Headed online to Amazon now! 🙂 I love a good read! Especially when it deals with real life issues that are relatable. I’m glad God spoke to you today through my words. 🙂 It makes my heart sing to bring glory to the king.